No Independence Day celebration would be complete without the flag, ice cold drinks, and a giant ice pop float! 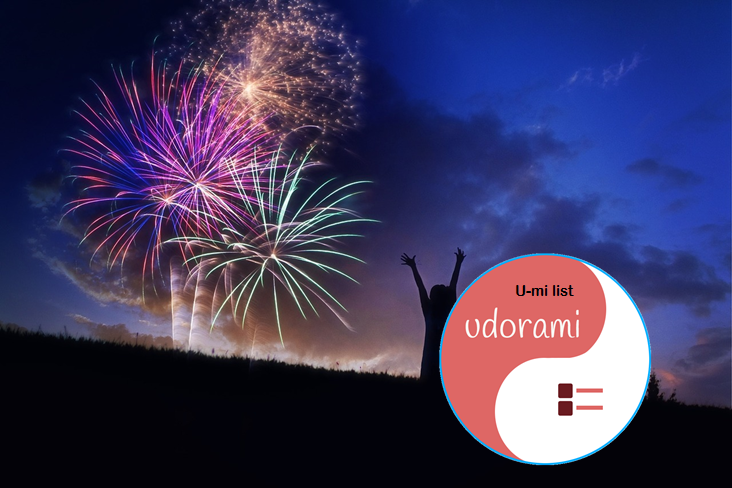 Start your own list if your event is a potluck. Email it to some of your friends for marking or making comments (members). It will ease your mind to know that at least someone is bringing dessert. 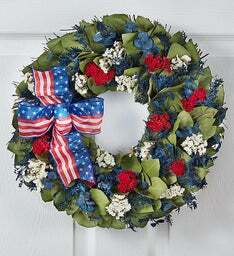 Show your patriotism with this festive wreath! The Yankee Doodle Doggie™ is also a charming treat! Oh me, oh my, it's hot! These critters are fun to fill (what?) and to entertain the kiddos. Order online and go pick them up at YOUR nearest Target store. BTW, they are one of our sponsors. Add this to your USA red, white, and blue collection! Great for the Fourth of July and nice addition to your everyday home decor! 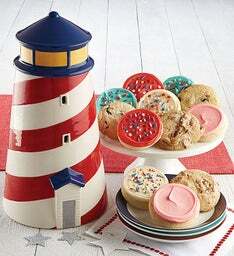 Add this delightful peace of Americana to your gathering. 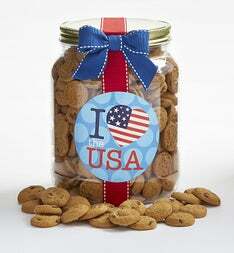 What a great keep sake to fill with goodies like Ginger snaps! Cheryl's also has a great variety of gluten-free treats! Fun for all ages! Relax by the pool and keep it COOL! 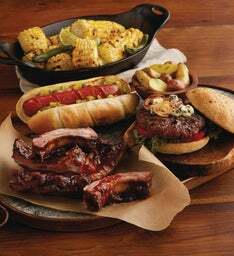 Make your BBQ classic and easy with this collection. Spend some extra time and throw some wood soak chips to the mix for a special flavor just perfect for the holiday! Say "Thanks" by sending someone this! Too cute not to add to our list! This Carter's 2-Pc. Baby Girls (0-24) months suit is super darling! "Stars and stripes - forever. 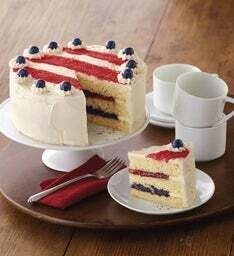 What a delicious way to show your patriotism everyday! These chocolate covered strawberries includes exceptionally fresh fruit and require Overnight delivery." Who's bringing the ice cream? Perfect to sit around and enjoy for the Independence Day and everyday!